Here at Five Little Stars we believe that music should be expressive and noisy but most of all it should be fun. You can take your toddlers to some great paid music classes but it's always nice to have instruments at home too (if your ears can take it!). So we've put together this list of our favourite little instruments for toddlers and pre-schoolers. Enjoy! This is an excellent all-rounder. It makes a perfect starter kit as it contains: a mouth organ, bells, castanets, tambourine, flute and maracas. The box says from the age of 3 but Alison's children have been playing with them this since they were 1 (with supervision). The quality is good too - her toys have been well used over 4 years but are showing few signs of wear and tear. A classic toy which you can't really go wrong with. The sticks are obviously problematic if you have a toddler who likes to hit things (or people)! But most young children will just enjoy playing it. 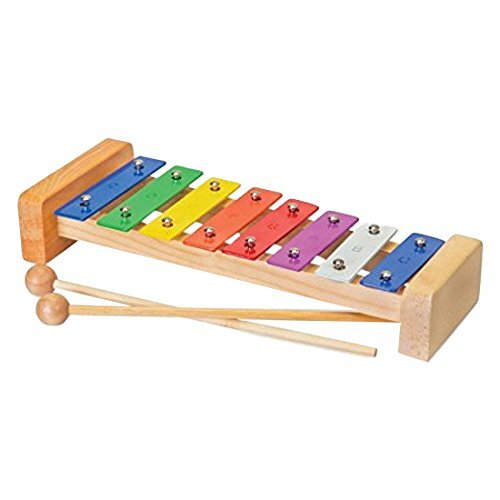 We found this xylophone on Amazon. It has a nice tune and is well made. The price is nice too at around £10. All harmonicas are pretty much the same design, but we love these ones as they are excellent quality, attractive design and make a nice basic harmonica sound. It is well made of a combination of metal and plastic. Whilst it says for ages 3 and up, Kate’s daughter has enjoyed making music with hers since she was 16 months old. Indeed Kate has purchased 5 of these so far! The first one was lost on a holiday in Lake Garda, and so was quickly replaced in duplicate as the best way to stop the squabbles; and a further 2 have been bought for presents and positively received. 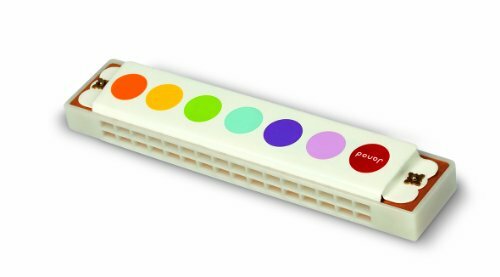 A lovely wooden recorder in the same attractive confetti style as the harmonicas. 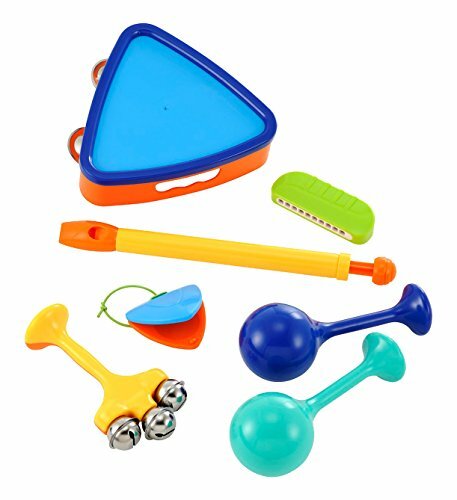 Whilst, at ages 18 months and nearly 3 years, Kate’s children are too young to produce anything even remotely approaching tuneful from this instrument, they have a real hoot having a go. And again, this product has really withstood the “toddler test” for robustness. 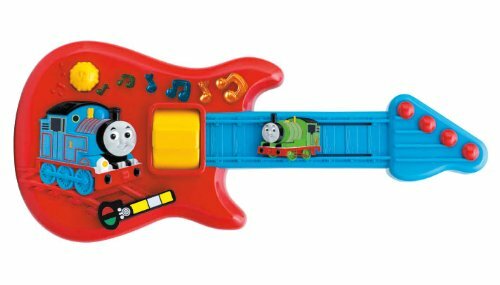 Of course as your toddler grows, so can their skills with this, and little tunes could well start to be tooted! This is the top musical instrument toy in Kate’s house (after the drum kit of course!). It is a great option for younger children as a pre-(proper)-guitar. It is very loosely an “instrument” as it plays pre-programmed tunes, depending on which bit is strummed/activated, but it makes music which the children and their friends seem to love. It is played with almost every day in Kate's house and encourages a lot of dancing and fun. And despite the subject matter, it really is gender neutral, girls love ChooChoo's and Thomas too (well ours do)! We just love this French-made wooden guitar for the more grown-up toddler. It's very sweet and comes in more neutral colours too. It can actually be tuned so it's not just a fake toy. But sadly, it's not so real that your child will be able to learn complex songs on it. This one is all about fun...and of course the style factor of owning a real looking beautiful guitar. It's made very well and will be a hit for any music loving child. We hope these have inspired you and would love to know about your favourite instruments. P.S. check out our Keeping Music Fun blog for some ideas on how to organise your own toddler music group at home - a great way to socialise for free.